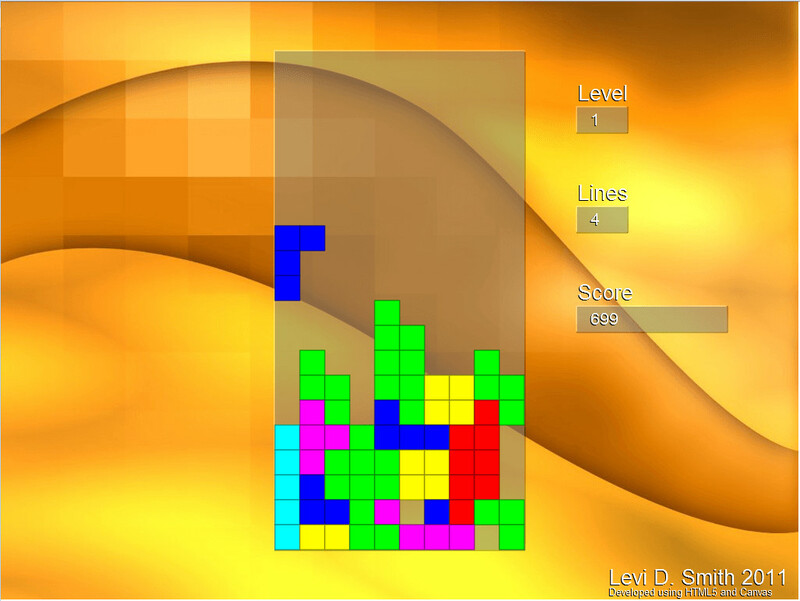 A falling blocks game that I wrote to demonstrate usage of HTML5 and Canvas to make an interactive game that runs in a web browser. Use the keyboard left and right keys to move pieces, press the up key to rotate a piece, and press the down key to drop a piece. Dropping pieces and completing lines increases your score. 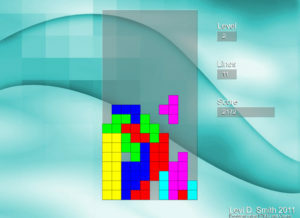 After completing every 10 lines the speed of the game increases which makes the game more difficult as the player progresses.